As a reviewer, every once in a while, a CD will come to you completely out of left field and knock you for a loop. That’s the case with this delightful instrumental work that reached America from the last row of the upper deck in the blues ball field. A native of Dnipro, Ukraine, Konstantin Kolesnichenko is a refreshingly different harmonica player who’s proving once again that you don’t have to be born in Chicago, Memphis or the Mississippi Delta to play the blues with understanding, emotion and feel. 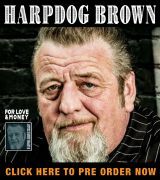 His growing legion of fans in the U.S. boasts a host of harp luminaries, including Jason Ricci, Adam Gussow, Mississippi Heat front man Pierre Lacocque and Guy Davis, and he’s a popular draw in Russia and several of its former republics. Now in his early 30s, Kolesnichenko picked up the instrument for the first time at age 19 and began his career with the Bullet Blues Band, which delivered its music in a Windy City style. As a soloist, however, he fuses blues and jazz into an art form that would fit comfortably in the cool jazz era of the ‘60s on one hand, but is bright and modern on the other. Kolesnichenko plays in a style unfamiliar to most blues lovers in the Western world. He plays low-register instruments in what’s called a “half-valve” technique, which was advanced by American harp master PT Gazell. A 2011 Grammy nominee, Gazell uses a model of Seydel diatonic harmonica that’s built with valves, which enable the musician to approach a chromatic sound in his play. The resulting sound is similar, yet different, from overblow techniques. This is Konstantin’s fourth release as a band leader, following If You Want To See This Blues in 2014 and follow-ups Sweeten It Up (2015) and Hypnotized! (2016). He’s backed here by Mikhail Lyshenko on organ, Dmitriy Lytvynenko on percussion and Paul Seedorenko on guitar to deliver two originals that fit tightly with four slick covers. As the title infers, much of the material is minor-keyed and blue. 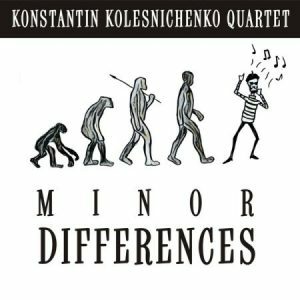 The disc opens with a cover of the Johnny Hodges/Wild Bill Davis 1965 classic, “Joe’s Blues.” Kolesnichenko slides smoothly into horn lines once laid down by Hodges, but takes them up to a fresh level in fluid, almost unbelievably honeyed 21st century runs. Billy Strayhorn’s “Johnny Come Lately” kicks off with percussion before Lyshenko joins in with a traditional sound on keys that would make Jimmy Smith or Fred McGriff smile. Konstantin’s lead floats, giving way to Seedorenko for a sweet single-note solo mid-tune and another by Lyshenko later on. The original “Clockface” kicks off with a different take on a three-note, Chicago style harp turn-around before Kolesnichenko swings sweetly for the rafters. “In The Wee Hours,” a hit for organist Bill Doggett and recorded by Junior Wells on the classic album Hoodoo Man Blues, is an unhurried delight, as is an instrumental take on Italian crooner Domenico Modugno’s 1958 hit, “Volare,” which would be welcome to ears on the Via Venito. 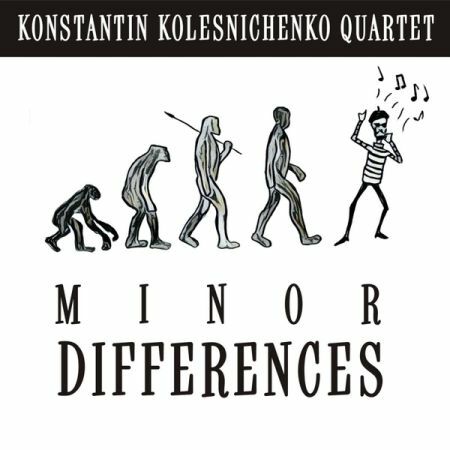 The disc ends with the sprightly title tune, “Minor Differences,” with Konstantin and Seedorenko sharing the musical load. 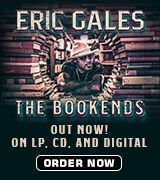 Available through Amazon and CD Universe and highly recommended. This one’s basically flawless, although he might get some harmonica players thinking about other careers. It’s that different and that good!